These hints represent potential matches in our records to the people on your tree. They are based on a number of factors, including names, date and place of births, marriages and deaths. 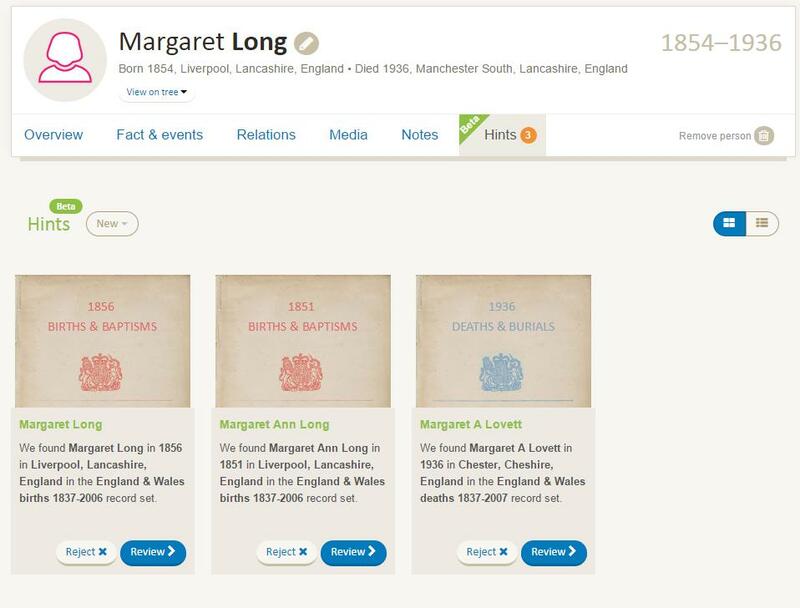 Currently available on our Birth, Marriage, Death and Census records with other record collections becoming available in the future, hints are a brilliant way to create a vibrant family tree. Clicking on the orange circle attached to your relative's profile will take you to their hints page. Here, you'll be presented with the records that could potentially be a match to the person on your tree. 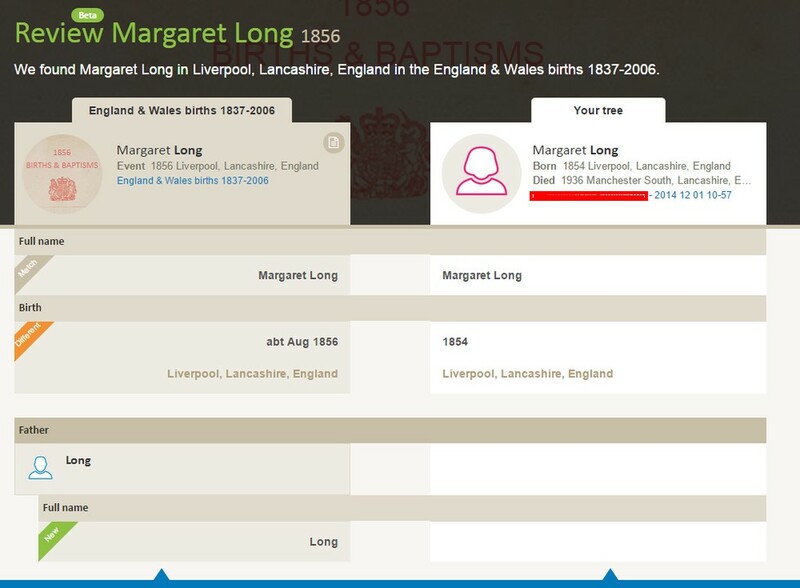 Here we see the hints page for a Margaret Long, for whom hints has found three possible matches. 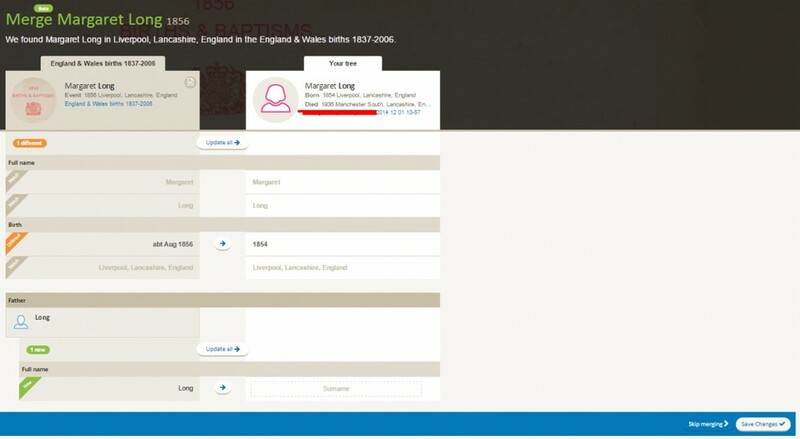 The records found correspond in colour to the certificates they represent, so birth and baptism records are red, marriage green and deaths and burials blue. The hints page presents a brief preview of the information in each record. If you wish to take a closer look and potentially add the information to your tree, click 'Review' to be taken to the hints review page for that record. If you know on first glance that this record does not match the person in your tree, you can also reject the hint from the hints page and it will disappear. On the Review page, you can view a side by side comparison of the information found by hints (left) and the information already on your tree (right). Information is marked as Match, New or Different. If you think that hints has found a match for your relative, click 'Yes, next step' at the bottom of the screen. If not, you have the choice to reject this hint, deleting it from your hints, or to go back to the last page. To check the sources of the information found by hints, click the paper icon next to the name of the potential match. This will link you to the record set in which your potential match can be found. If you're confident that hinting has found a match and you click 'Yes, next step', you'll reach the Merge page for your relative. Here, you can transfer information from our records to your tree with just a few clicks. Review the information on the left and click either individual arrows or 'Update all' to transfer it onto your tree. In order to undo the addition of a fact, just click the reverse arrow button. Nothing will be permanent until you click 'Save Changes'. Once you've merged everything you want to, click 'Save Changes' in the bottom right of your screen. Once merging has taken place, it can't be reversed, so be sure you're happy with the information you've added before you save. You may find that a hint includes an additional potential family member, perhaps a spouse or parent. 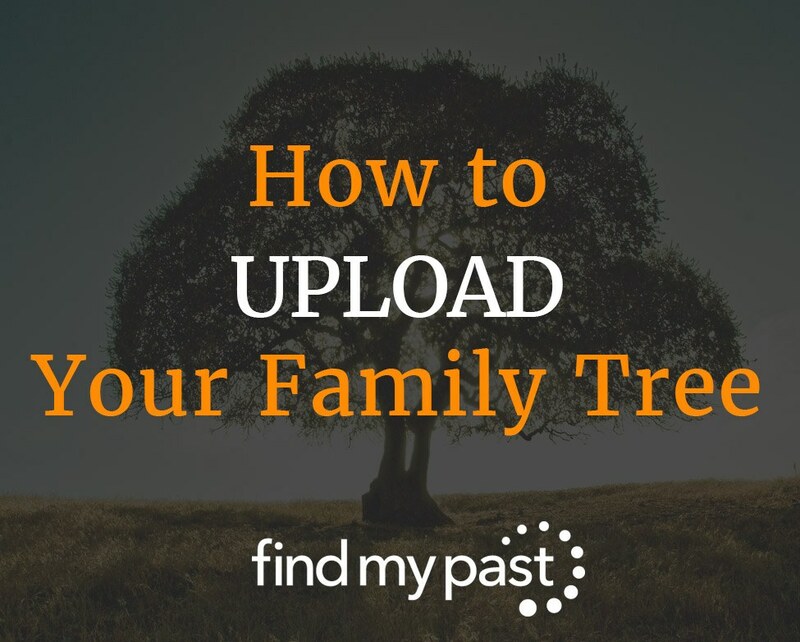 If you have a person within your tree that matches this person, they will appear alongside the relevant spouse or parent on the screen and you will be able to update their information as well. If the person does not exist in your tree then you will be able to create that person by moving the information across in the same way.